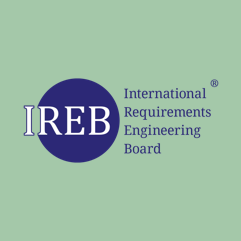 The IREB® CPRE Foundation Level Qualification is a valuable tool for all professionals dedicated to making a lengthy career in Requirements Engineering. This exam tests the core understanding of the field alongside business analysis and testing. The examination has a strong focus on the following areas: requirements elicitation, requirements verification and requirements management for the entire product life cycle. It’s important to highlight that this certification scheme is developed by the IREB. As such, its contents are taught by independent training providers. The CPRE exam can only be taken at approved certification bodies. What’s good about this qualification is that the CPRE certificate has a lifetime validity. There are no prerequisites to apply for the IREB® CPRE Foundation Level examination. It’s in your advantage, if you have basic practical and theoretical knowledge in eliciting, analyzing, specifying, documenting, validating and managing requirements. Work with the most established notations for requirements. There are more than 10,000 professionals who have achieved the CPRE certification worldwide. The four main activities of RE are elicitation, documentation, validation/negotiation plus the management of requirements. The CPRE – Foundation Level certification exam is a multiple-choice test, which consists of 45 questions in total. Questions are of differing difficulty and therefore assigned different amounts of points: 1, 2 or 3 points. Applicants face single questions (with only one correct answer), multiple questions (with two or more correct answers), and True/False Statements. Examination is closed book, i.e. no materials are allowed to be used. The passing score is 70%. Exam duration stands at 75 minutes for English native speakers and 90 minutes for non-native speakers.